1 The Inter-State River Water Disputes (Amendment) Bill, 2017 WATER RESOURCES, RIVER DEVELOPEMENT AND GANGA REJUVENATION 24/05/2017 Presented Report on the Bill to the Parliament on 10.08.2017. 00:45 1.Rudy, Shri Rajiv Pratap , 2.Gupta, Shri Sudheer , 3.Boianapalli, Shri Vinod Kumar , 4.Maganti, Shri Murali Mohan , 5.Ram, Shri Vishnu Dayal , 6.Sathyabama, Smt. V. , 7.Bhunder, Sardar Balwinder Singh , 8.Karim, Shri Ahmad Ashfaque , 9.Singh, Shri K. Bhabananda , Consideration of Memorandum No. 1 regarding Selection of Subjects by the Committee for examination during the year 2018-19. 01:45 1.Rudy, Shri Rajiv Pratap , 2.Chauhan, Shri Devusinh Jesingbhai , 3.Hukkeri, Shri Prakash Babanna , 4.Mohapatra, Shri Sidhant , 5.Mukherjee, Dr. Abhijit , 6.Reddy, Shri S.P.Y. , 7.Sathyabama, Smt. V. , 8.Singh, Shri Lallu , 9.Bhunder, Sardar Balwinder Singh , 10.Karim, Shri Ahmad Ashfaque , 11.Tamta, Shri Pradeep , 12.Singh, Shri K. Bhabananda , (i) Review the working of National Projects Construction Corporation Ltd. (NPCC); (ii) Review the updated status on the implementation of the Schemes / Projects / Works under the subject "Conservation, Development, Management and Abatement of Pollution in river Ganga and its tributaries"; and (iii) Review of "Major and Medium Irrigation Projects in India / status and progress of Participatory Irrigation Management (PIM) and Water User Associations (WUAs)" – status of Major Irrigation Schemes across the country. 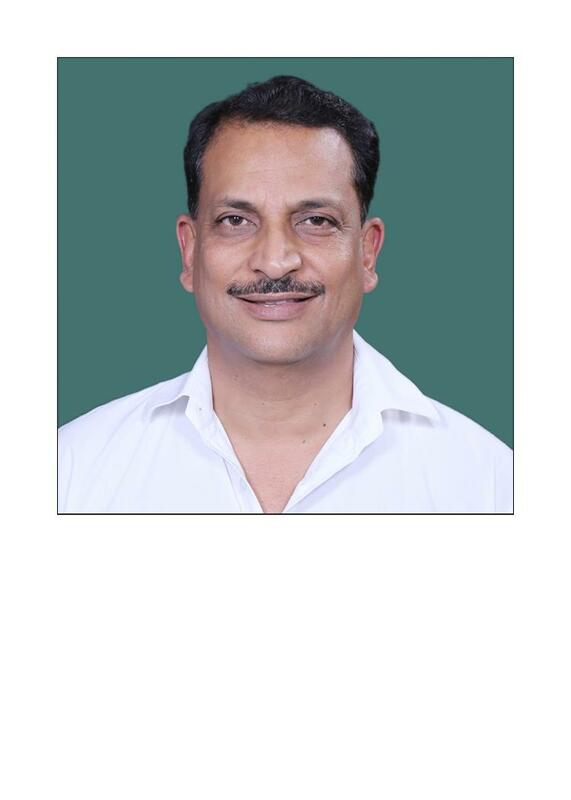 1 25 TO 28 AUGUST, 2018 1.Rudy, Shri Rajiv Pratap , 2.Mukherjee, Dr. Abhijit , 3.Mohapatra, Shri Sidhant , 4.Patel, Shri Subhash , 5.Patil, Shri Sanjay(Kaka) Ramchandra , 6.Patil, Shri Vijaysinh Mohite , 7.Poddar, Smt. Aparupa , 8.Chauhan, Shri Devusinh Jesingbhai , 9.Dungarpur, Shri Harshvardhan Singh , 10.Tamta, Shri Pradeep , MUMBAI (MAHARASHTRA) & KALIMPONG (WEST BENGAL) 1.Discussion with the officials of Water and Power Consultancy Services (WAPCOS) Ltd. regarding its various activities in the Western region in general and in the State of Maharashtra in particular. 2. Discussion with the officials of Ministry of Water Resources, River Development and Ganga Rejuvenation (MoWR, RD & GR), Central Water Commission (CWC), Central Ground Water Board (CGWB), State Government of Maharashtra and Brihanmumbai Municipal Corporation (BMC) regarding implementation of various projects including Accelerated Irrigation Benefits Programme (AIBP), Repair Renovation and Restoration (RRR), encroachment of Water Bodies and package drinking water in the State of Maharashtra in general and Mumbai in particular. 3.Discussion with the officials of the Ministry of Water Resources, River Development and Ganga Rejuvenation (MoWR, RD & GR), Central Water Commission (CWC), Central Ground Water Board (CGWB) and State Government of West Bengal and Bihar regarding implementation of various projects including Accelerated Irrigation Benefits Programme (AIBP), Repair Renovation and Restoration (RRR) of Water Bodies, Command Area Development & Water Management (CAD&WM) and flood situation in the State of West Bengal and Bihar. 4. Discussion with the officials of the Ministry of Water Resources, River Development and Ganga Rejuvenation, Central Water Commission (CWC), State Government of Assam and the Brahmaputra Board regarding Flood Control and Management in the North Eastern Region in general and Assam in Particular and restructuring of Brahmaputra Board (status report). 2 12 to 17 January, 2018 1. Singh, Shri Hukum , 2.Mohapatra, Shri Sidhant , 3.Poddar, Smt. Aparupa , 4.Sathyabama, Smt. V. , 5.Singh, Shri Lallu , 6.Kundariya, Shri Mohanbhai Kalyanji , 7.Chauhan, Shri Devusinh Jesingbhai , 8.Biswas, Shri Radheshyam , 9.Mukherjee, Dr. Abhijit , 10.Jangde, Dr. Bhushan Lal , 11.Dungarpur, Shri Harshvardhan Singh , 12.Bhunder, Sardar Balwinder Singh , 13.Rapolu, Shri Ananda Bhaskar , Port Blair, Kolkata and Bhubaneshwar (i) Visit to Artificial Recharge Structures at Prothrapur, Lal Pahar Nala and Mangeri and discussion with representatives of Ministry of Water Resources, River Development and Ganga Rejuvenation (MoWR, RD & GR)/Central Ground Water Board (CGWB) and Officers of Andaman & Nicobar Islands Administration on ground water scenario in the islands. (ii) Discussion with the officials of Ministry of Water Resources, River Development and Ganga Rejuvenation (MoWR, RD & GR) / Central Water Commission (CWC) and Central Ground Water Board (CGWB), Chief Secretary and other Officers of Andaman & Nicobar Islands Administration regarding Implementation of Accelerated Irrigation Benefits Programme (AIBP), Participatory Irrigation Management (PIM), Command Area Development & Water Management (CAD&WM) programme and rain water harvesting Mechanism in the Andaman & Nicobar Islands. (iii) Discussion with the officials of Water and Power Consultancy Services (WAPCOS) Ltd. regarding its various activities in the Eastern region in general and in the State of West Bengal in particular. Discussion with the officials of Ministry of Water Resources, River Development and Ganga Rejuvenation / Central Water Commission (CWC)/ National Mission for Clean Ganga (NMCG) / State Government of West Bengal and the State Project Management Groups (SPMG) regarding various activities under Namami Gange Programme in the State of West Bengal. Discussion with the officials of Ministry of Water Resources, River Development and Ganga Rejuvenation (MoWR, RD & GR) / Central Water Commission (CWC) and Farakka Barrage Authorities regarding the status of the Farakka Barrage Project. (iv) Discussion with the officials of MoWR, RD & GR/ Central Water Commission (CWC) and State Government of Odisha regarding Implementation of Pradhan Mantri Krishi Sinchai Yojna viz. Accelerated Irrigation Benefits Programme (AIBP), Participatory Irrigation Management (PIM), Command Area Development & Water Management (CAD&WM) programme and rain water harvesting programme etc. Discussion with the Officials of the Central Ground Water Board (CGWB) on the Ground Water Scenario, including depletion of ground water level and contamination of water in the Eastern Region and in the State of Odisha. (v) Departure for Site Visit Delta Stage -II under Command Area Development & Water Management Programme (CAD&WM)(approx 30 Km.) by road. 3 18 to 23 August, 2017 1.Singh, Shri Hukum , 2.Biswas, Shri Radheshyam , 3.Boianapalli, Shri Vinod Kumar , 4.Maganti, Shri Murali Mohan , 5.Mohapatra, Shri Sidhant , 6.Patel, Shri Subhash , 7.Patil, Shri Vijaysinh Mohite , 8.Poddar, Smt. Aparupa , 9.Sathyabama, Smt. V. , 10.Bhunder, Sardar Balwinder Singh , 11.Dungarpur, Shri Harshvardhan Singh ,12.Rapolu, Shri Ananda Bhaskar , 13.Tamta, Shri Pradeep , Vijaywada, Visakhapatnam, Chandigarh and Shimla (i) Visited Polavaram Irrigation Project (approx. 200 km.) under AIBP and CADWM Programme followed by discussion with the MoWR, RD & GR, Central Water Commission (CWC) and Project/ Dam Authorities regarding the status of the Dam. (ii) Discussion held with the officials of MoWR, RD & GR/ Central Water Commission (CWC) and State Government of Andhra Pradesh regarding Accelerated Irrigation Benefits Programme (AIBP), Participatory Irrigation Management (PIM), Command Area Development & Water Management (CAD&WM) programme, rain water harvesting programme and role of Packaged Drinking water industry and its effect in the State of Andhra Pradesh. (iii) Discussion held with the officials of MoWR, RD & GR, Central Water Commission (CWC) and Project Authorities regarding the status of the Thotapally Irrigation Project and discussion held with the officials of Water and Power Consultancy Services (WAPCOS) Ltd. regarding its activities in the State of Andhra Pradesh. (iv) Visited Bhakra Nangal Dam (approx. 120 kms.) followed by discussion with representatives of MoWR, RD & GR/Central Water Commission (CWC) and Project Officials regarding the status of the Dam. (v) Discussion with the Officials of the Central Ground Water Board (CGWB) on the Ground Water Scenario, including depletion of ground water level and contamination of water in the Northern Region and the State of Punjab and Haryana. (vi) Discussion held with the officials of MoWR, RD & GR/ Central Water Commission (CWC) and State Government of Haryana regarding Accelerated Irrigation Benefits Programme (AIBP), Participatory Irrigation Management (PIM), Command Area Development & Water Management (CAD&WM) programme, rain water harvesting programme and role of Packaged Drinking water industry and its effect in the State of Haryana. (vii) Discussion held with the officials of MoWR, RD & GR/ Central Water Commission (CWC) and State Government of Punjab regarding Accelerated Irrigation Benefits Programme (AIBP), Participatory Irrigation Management (PIM), Command Area Development & Water Management (CAD&WM) programme, rain water harvesting programme and role of Packaged Drinking water industry and its effect in the State of Punjab. (viii) Discussion held with the officials of MoWR, RD & GR/Central Water Commission (CWC) and State Government of Himachal Pradesh regarding Accelerated Irrigation Benefits Programme (AIBP), Participatory Irrigation Management (PIM), Command Area Development & Water Management (CAD&WM) programme, rain water harvesting programme and role of Packaged Drinking water industry and its effect in the State of Himachal Pradesh. 4 01 to 05 May, 2017 1.Singh, Shri Hukum , 2.Maganti, Shri Murali Mohan , 3.Patil, Shri Vijaysinh Mohite , 4.Poddar, Smt. Aparupa , 5.Sathyabama, Smt. V. , 6.Singh, Shri Lallu , 7.Boianapalli, Shri Vinod Kumar , 8.Gupta, Shri Sudheer , 9.Patel, Shri Subhash , 10.Kundariya, Shri Mohanbhai Kalyanji , 11.Mohapatra, Shri Sidhant , 12.Jangde, Dr. Bhushan Lal , 13.Tamta, Shri Pradeep , 14.Fayaz, Mir Mohammad , 15.Bhunder, Sardar Balwinder Singh , 16.Rapolu, Shri Ananda Bhaskar , Goa, Mumbai, Munnar and Kochi Visited Salauli Dam (approx. 62 kms.) followed by discussion with representatives of MoWR, RD & GR/Central Water Commission (CWC) and Project Officials regarding the status of the Dam. Discussion held with the officials of MoWR, RD & GR/Central Water Commission (CWC)/Central Ground Water Board (CGWB) and State Government of Goa regarding Accelerated Irrigation Benefits Programme (AIBP), Participatory Irrigation Management (PIM), Command Area Development & Water Management (CAD&WM) programme and rain water harvesting programme in the state of Goa. Discussion held with the officials of MoWR, RD & GR/ Central Water Commission (CWC) and State Government of Maharashtra regarding Accelerated Irrigation Benefits Programme (AIBP), Participatory Irrigation Management (PIM), Command Area Development & Water Management (CAD&WM) programme and rain water harvesting programme in the state of Maharashtra. Visited Muvatupuzha Valley Irrigation Project (approx. 60 km.) under AIBP and CADWM Programme followed by discussion with the MoWR, RD & GR, Central Water Commission (CWC) and Project/ Dam Authorities regarding the status of the Dam. Discussion held with the Officials of the Central Ground Water Board (CGWB) on the Ground Water Scenario, including depletion of ground water level and contamination of water in the Western Region and the State of Maharashtra in particular. Visited Muvatupuzha Valley Irrigation Project (approx. 60 km.) under AIBP and CADWM Programme followed by discussion with the MoWR, RD & GR, Central Water Commission (CWC) and Project/ Dam Authorities regarding the status of the Dam. Discussion held with the officials of Centre for Water Resources Development and Management (CWRDM), an institute of State Government of Kerala and their activities in the Southern region. Discussion held with the officials of Water and Power Consultancy Services (WAPCOS) Ltd. regarding its various activities in the State of Kerala. Discussion held with the officials of MoWR, RD & GR/Central Water Commission (CWC) and State Government of Kerala regarding the implementation of various irrigation projects in the State of Kerala. 5 01 to 06 June, 2016 1.Singh, Shri Hukum , 2.Biswas, Shri Radheshyam , 3.Chauhan, Shri Devusinh Jesingbhai , 4.Maganti, Shri Murali Mohan , 5.Mohapatra, Shri Sidhant , 6.Mukherjee, Shri Abhijit , 7.Nagar, Shri Rodmal , 8.Patil, Shri Vijaysinh Mohite , 9.Poddar, Smt. Aparupa , 10.Sathyabama, Smt. V. , 11.Singh, Shri Lallu , 12.Vadodia, Shri Lal Sinh , 13.Rao, Shri V. Hanumantha , Bengaluru, Mysuru, Hyderabad and Gangtok (i) Discussion with the officials of the Ministry of Water Resources, River Development & Ganga Rejuvenation / Central Water Commission and State Government of Karnataka regarding implementation of various irrigation projects under Accelerated Irrigation Benefit Programme (AIBP) and encroachment of water bodies, etc. in the State of Karnataka. (ii) Discussion with the representatives of Central Ground Water Board regarding the ground water scenario in Southern Region in general and in Karnataka in particular, including the problem of ground water contamination / pollution and remedial measures required to address the same. (iii) Visit to Krishna Raja Sagara Dam (approx. 40 km.) followed by discussion with the Officials of the Ministry of Water Resources, River Development & Ganga Rejuvenation/Central Water Commission and the State Government of Karnataka regarding status of the project and works undertaken in connection therewith and completed during the 12th Plan. (iv) Discussion with the officials of the Water and Power Consultancy Services (WAPCOS) Ltd. regarding its activities in Southern region. (v) Visit to (i) Bengaluru University campus (approx. 25 km.) Phase-1, check dam (2&3) for studying and discussing status of the rain water harvesting/artificial recharge structure with the officials of the Ministry of Water Resources, River Development & Ganga Rejuvenation and Central Ground Water Board (ii) Ulsoor Lake, Bengaluru (city) for studying and discussing the condition of the Lake as a water body, with the officials of the Ministry of Water Resources, River Development & Ganga Rejuvenation and the State Government of Karnataka. (vi) Discussion with the officials of the Ministry of Water Resources, River Development & Ganga Rejuvenation and Tungabhadra Board. (vii) Discussion with the officials of the Ministry of Water Resources, River Development & Ganga Rejuvenation / Central Water Commission and State Government of Telangana regarding implementation of various irrigation projects under Accelerated Irrigation Benefit Programme (AIBP) and encroachment of water bodies, etc. in the State of Telangana. (viii) Discussion with the officials of the Ministry of Water Resources, River Development & Ganga Rejuvenation and Krishna River Management Board. (ix) Discussion with the officials of the Ministry of Water Resources, River Development & Ganga Rejuvenation and Godavari Management Board. (x) Discussion with the officials of the Ministry of Water Resources, River Development & Ganga Rejuvenation / Central Water Commission/ State Government of Telangana and Project Authorities of Sarpanpally Project about the status of the project, and works undertaken in connection therewith and completed during the 12th Plan within the scope of Repair, Renovation & Restoration (RRR) Scheme. (xi) Discussion with the officials of the Ministry of Water Resources, River Development & Ganga Rejuvenation / Central Water Commission and State Government of Sikkim regarding implementation of various irrigation projects under Accelerated Irrigation Benefit Programme (AIBP) and implementation of the scheme of Repair, Renovation and Restoration (RRR) of water bodies, in the State of Sikkim. (xii) Visit to Teesta Barrage Project (140 km. ), followed by discussion with the officials of the Ministry of Water Resources, River Development & Ganga Rejuvenation/Central Water Commission and State Government of West Bengal regarding status of the project. 6 05 to 09 October, 2015 1.Singh, Shri Hukum , 2.Karra, Shri Tariq Hameed , 3.Nagar, Shri Rodmal ,4.Patel, Shri Subhash , 5.Sathyabama, Smt. V. , 6.Biswas, Shri Radheshyam , 7.Boianapalli, Shri Vinod Kumar , 8.Chauhan, Shri Devusinh Jesingbhai , 9.Mukherjee, Shri Abhijit , 10.Poddar, Smt. Aparupa , 11.Bhunder, Shri Balwinder Singh , 12.Rao, Shri V. Hanumantha , Kolkata and Guwahati (i) Discussion with the representatives of Central Water Commission and Government of West Bengal regarding the implementation of Irrigation Projects in West Bengal. (ii) Discussion with the officials of the Ministry of Water Resources, River Development and Ganga Rejuvenation, Central Water Commission (CWC), Chief Secretary and representatives of Irrigation & Flood Control Department, State Government of West Bengal regarding the status of the implementation of National Water Policy, 2012 in the State. (iii) Visit to Durgapur Barrage (150 kms.) followed by discussion with the representatives of project authorities on the status/working of the project. (iv) Discussion with the officials of the Ministry of Water Resources, River Development and Ganga Rejuvenation and Central Water Commission (CWC), Chief Secretary and representatives of the Irrigation & Flood Control Department, State Government of Assam regarding (a) the implementation of Command Area Development & Water Management (CAD&WM) projects and (b) the status of the implementation of National Water Policy, 2012 in the State of Assam. (v)Discussion with the officials of the Ministry of Water Resources, River Development & Ganga Rejuvenation and representatives of Water and Power Consultancy Services (WAPCOS) Ltd regarding its activities in the North-Eastern region. (vi) Discussion with the officials of the Ministry of Water Resources, River Development & Ganga Rejuvenation and representatives of National Projects Construction Corporation (NPCC) regarding its activities in the North-Eastern region in general and in the State of Assam in particular. (vii) Discussion with the officials of the Ministry of Water Resources, River Development & Ganga Rejuvenation and representatives of Central Water & Power Research Station (CWPRS) regarding its activities in the North-Eastern region in general and in the State of Assam in particular. (viii) Visit to the premises of North Eastern Hydraulic and Allied Research Institute (NEHARI) (approx. 25 kms.) followed by discussion with the officials of the Ministry of Water Resources, River Development & Rejuvenation and North Eastern Hydraulic and Allied Research Institute/Brahmaputra Board on the functioning of the Institute. (ix) Visit to Assam Integrated Flood and River Risk Management project, (under construction) sub-project Palasbari (Tranche-I) (approx. 50 kms.) followed by discussion with officials of Central Water Commission/Water Resources Department, Government of Assam regarding the status of the project. (x) Visit to the premises of Brahmaputra Board (approx. 10 kms.) followed by discussion with the officials of the Ministry of Water Resources, River Development & Rejuvenation and Brahmaputra Board on the working of the Board. (xi)Discussion with the officials of the Ministry of Water Resources, River Development & Ganga Rejuvenation and representatives of Central Ground Water Board (CGWB) regarding the ground water scenario in North-Eastern Region in general and in the State of Assam in particular, including the problem of ground water contamination/pollution and remedial measures taken to tackle it. 7 02 to 03 June, 2015 1.Singh, Shri Hukum , 2.Biswas, Shri Radheshyam , 3. Chauhan, Shri Devusinh , 4. Mohapatra, Shri Sidhant , 5.Nagar, Shri Rodmal , 6.Sathyabama, Smt. V. , 7.Singh, Shri Lallu , 8. Kumar B. Shri Vinod 9. Karra, Shri Tariq Hameed, 10. Sarmah, Shri Ram Prasad, 11. Mukherjee, Shri Abhijit, 12.Vadodia, Shri Lal Sinh , 13. Swamy, Shri A.V, 14. Fayaz, Shri Mir Mohammad, 15. Sable, Shri Amar Shankar, Srinagar(Jammu & Kashmir) 1. Visit to Comprehensive Plan for Flood Management on Jhelum, Phase-I (40 Kms). 2. Discussion with representatives of MoWR,RD&GR, Central Water Commission, Ministry of Home Affairs (NDMA), Irrigation & Flood Control Department, State Government of Jammu & Kashmir regarding implementation of various irrigation schemes incluidng AIBFMP in the State of Jammu & Kashmir in the wake of flood havoc in the State during 2014. 3. Discussion with the official of Central Ground Water Board regarding the ground water scenario in Northern India, specially in Jammu & Kashmir including the problem of Ground water contamination/pollution and remedial measures taken to tackle it. 4.Visit to Exploratory Wells, (viz. Shalimar & Nishat) 5. Discussion with the officials of MoWR, RD&GR, Central Water Commission and Irrigation & Flood Control Dept. State of Jammu & Kashmir regarding implementation of Command Area Development & Water Management(CAD&WM)projects in Jammu & Kashmir 5. Discussion with the officials of the MoWR, RD&GR, Central Water Commission, Chief Secretary/Irrigation & Flood Control Department, State Govt. of Jammu & kashmir regarding the status of implementation of National Water Policy, 2012 in Jammu & Kashmir.6. Discussion with the official of WAPCOS Limited regarding their activities in Northern region. 8 27 to 31 October 2014 1.Singh, Shri Hukum , 2.Biswas, Shri Radheshyam , 3.Maganti, Shri Murali Mohan , 4.Mohapatra, Shri Sidhant , 5.Nagar, Shri Rodmal , 6.Sathyabama, Smt. V. , 7.Singh, Shri Lallu , 8.Swamy, Shri A.V. , 9.Vadodia, Shri Lal Sinh , 10.Vaghela, Shri Liladharbhai Khodaji , 1. Ahmedabad 2. Varanasi 3. Lucknow 4. Haridwar 1. Visit to Fatehpura Minor of Kalyanpura Distributary of Sanand Branch Canal. 2. Discussion with representatives of MoWR,RD&GR, State Government of Gujarat regarding implementation of various irrigation schemes incluidng AIBFMP.3. Discussion with the official of WAPCOS Limited regarding their activities in Northern region. 4. Visit to pollution abatement projects/works in Varanasi. 5. Visit to Sharda Sahayak Phase-II project followed by informal discussion with the project officials and MoWR,RD&GR / CWC and irrigation department, State govt. of Uttar Pradesh.6. Visit to Raj Bhawan, Lucknow regarding implementation of Rain Water Harvesting / Artificial Recharge Structure in the premises. 7. Visit to Bhimgoda Barrage, Haridwar. 8. Discussion with the officials of NPCC Limited regarding their activities and performance. 22 Further Action Taken by the Government on the Observations / Recommendations contained in the Twenty Second Report (16th Lok Sabha) on Action Taken by Government on the Observations / Recommendations contained in the Twentieth Report (16th Lok Sabha) on ‘‘Demands for Grants (2018-19)'' of the Ministry of Water Resources, River Development and Ganga Rejuvenation. 17 Further Action Taken by the Government on the Observations / Recommendations contained in the Seventeenth Report (16th Lok Sabha) on Action Taken by Government on the Observations / Recommendations contained in the Sixteenth Report (16th Lok Sabha) on ‘‘Demands for Grants (2017-18)'' of the Ministry of Water Resources, River Development and Ganga Rejuvenation. 15 Further Action Taken by the Government on the Observations / Recommendations contained in the Fifteenth Report (16th Lok Sabha) on Action Taken by Government on the Observations / Recommendations contained in the Tenth Report (16th Lok Sabha) on ‘‘Repair, Renovation and Restoration of Water bodies -Encroachment on water bodies and steps required to remove the encroachment and restore the water bodies''. 11 Further Action Taken Statement on 11th Report on observations/recommendations contained in Fifth Report (16th Lok Sabha) of Committee on Review of Ground Water Scenario, need for a comprehensive policy and measures to address problems in the country with particular reference to (i) Dark Blocks; and (ii) Contamination of underground water by certain industries of the Committee. 12 Further Action Taken Statement on 12th Report on observations/recommendations contained in Ninth Report (16th Lok Sabha) of Committee on Demands for Grants (2016-17). 7 Further Action Taken by the Government on the observations/recommendations contained in the Seventh Report (16th Lok Sabha) on action taken by the Government on the observations/recommendations contained in the Third Report on Demands for Grants (2015-16) of the Ministry of Water Resources, River Development and Ganga Rejuvenation. 6 Further Action Taken by the Government on the observations/recommendations contained in the Sixth Report (16th Lok Sabha) on action taken by the Government on the observations/recommendations contained in the First Report on Demands for Grants (2014-15) of the Ministry of Water Resources, River Development and Ganga Rejuvenation. 2 Further Action Taken by the Government on the observations / recommendations of the Parliamentary Standing Committee on Water Resources contained in their 2 Report (16th Lok Sabha) on Action Taken by Government on the observations/recommendations contained in the 21 Report (15th Lok Sabha) on "Review of Ganga Flood Control Commission." 1 Statement showing Further Action Taken by the Government on the Observations/Recommendations contained in the 19th Report (15th Lok Sabha) on Action Taken by Government on the Observations/Recommendations contained in the Sixteenth Report (15th Lok Sabha) on 'Repair, Renovation and Restoration of Water Bodies'.